Waaaaaaah! Sorry guys….but I HAVE to share that quickly with you as well. And there even was a nice picture for Neil in it. Gosh, I can’t tell you how happy I am! I feel so honoured that I had the chance to meet him in person. He is such a charming, wonderful man and he will always be my all time favourite Doctor!!! 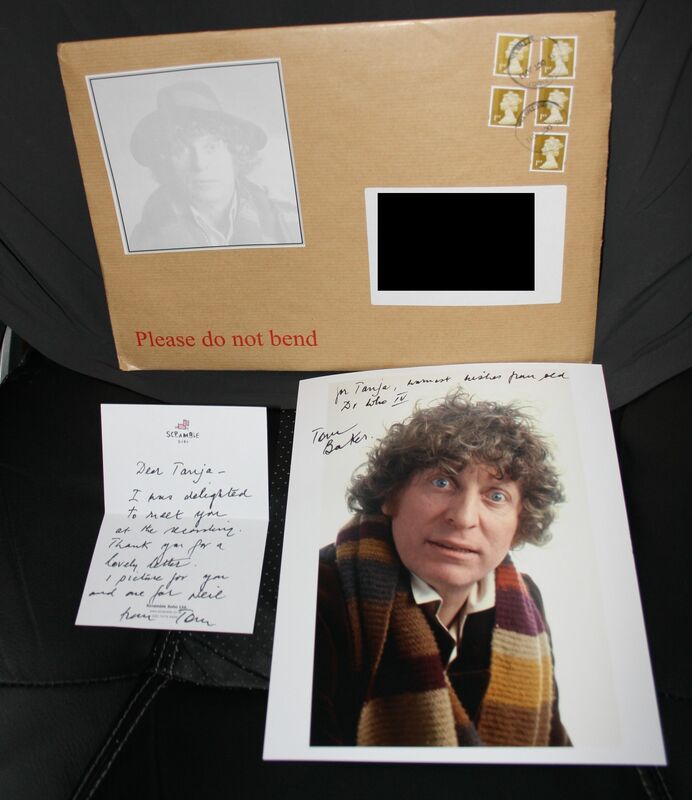 This entry was posted in Uncategorized and tagged Doctor Who, fourth Doctor, TARDIS, Time Vortex, Tom Baker. Bookmark the permalink.